I previously wrote about the wearables that athletes used to train for the Olympic Games. However IoT is more than just performance, efficiency, and continuous improvement… IoT technologies can improve our daily lives by improving data transfers quickly, in a secure fashion, and when we want them. The Olympics offers a unique microcosm to technology testers because of its wide range of peoples from across the world centered in one city, and their singular shared interest of cheering on their athletes. Because of its singular acceptance at the games, VISA brought forward its NFC enabled payment ring tailored for athletes and those that travel without a wallet or other weighty contraptions. The NFC technology-enabled ring works as a payment authorization device at enabled Visa credit terminals. What’s beautiful is that the ring is nothing more than an identifier, can be turned on and off via a smartphone app, and contains no personally identifying information. The ring contains no batteries, and is being considered for mass market use after the Olympics. Twenty percent of the Rio Olympics Organizing Committee Budget was spent on IT and telecommunication solutions. That’s 2.25 Billion. The infrastructure, of course in part was for standard journalist and network video coverage related connections. But just as much effort was put in place to capture race times, validate winners, monitor game rules and count laps, all in a way that makes data available to the world in a nearly instantaneous fashion. Uniquely this year, archery switched to digital scoring with visual intelligence, underwater lap counters are an improvement over standard finish sensors, and IoT sensors have been built into rowing boats for tracking and monitoring of GPS location in real time. Golf scoreboards were introduced that acted more as performance dashboards using ball tracking radar and swing sensors in real time for giant display to participants and spectators alike. 250 technology companies including Omega, Panasonic, Samsung and Cisco contributed to making these the most connected games to date. It truly is amazing how much data is instantly available for viewers across the world from so many different events and venues. With 250 different technology vendors participating, there truly is room for competition and room for advancement in event related IoT development and deployment. Every Olympic games leaves its mark on a city. In an effort not to leave abandoned sports facilities, the Olympic Committee invested in and upgraded technology in the port area called Porto Maravilh. This section of Rio received exciting technology upgrades thanks to Cisco at the games. 100,000 square meters were fitted with free public Wi-Fi. Also benefiting the area are a number of well connected digital public kiosks to access area information, novel IoT intelligent storm drains (clog checkers!) , and a Digital Creative workshop with small IoT tool kits inside of the Museum of Tomorrow – pre-connected to display panels for art directly created from IoT data. The Internet of Things is just beginning to touch our lives, and playgrounds like the Rio Games show us a little bit more of what is on the horizon. 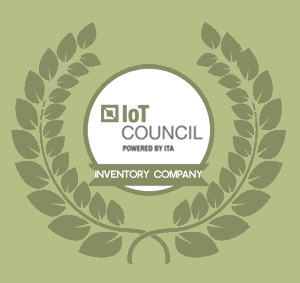 I am thrilled to be part of the IoT change in the world, and enjoy seeing people and companies benefit from the value it brings.